I’m still cramming the vegetables and annuals into the garden. As I haven’t got a greenhouse, and I’m rapidly running out of space – and pots – on the patio, some of the tomatoes have gone into hanging baskets. There are plenty of bush-type varieties with shallow root systems that do well in hanging baskets. 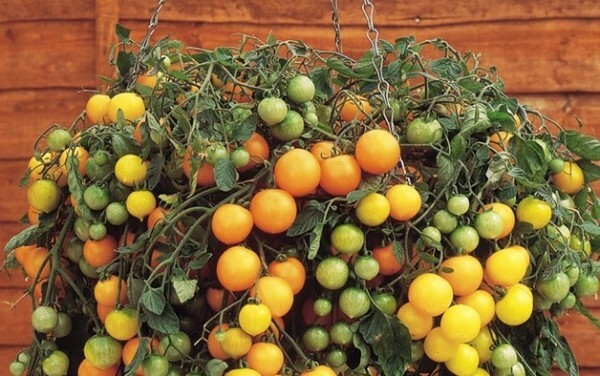 I’m trying Tumbling Tom (yellow) and Tiny Tim (red), one plant per basket, hung south facing at the back of the house. The baskets are pre-lined so I haven’t had to faff around with liners or moss. 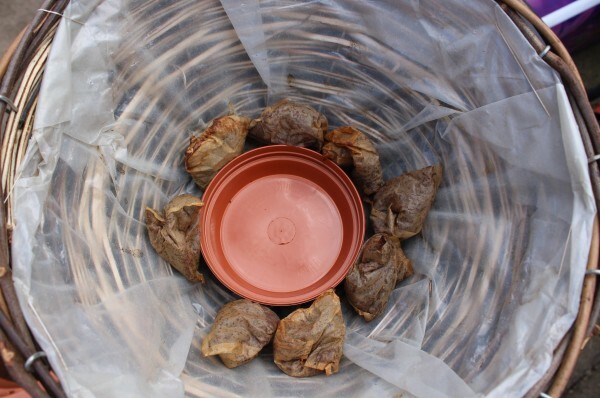 I put a small plastic saucer and several used tea bags at the bottom of each basket to help retain water, and firmed each tomato plant in with plenty of all-round garden compost and a few growmore granules. I haven’t bothered with water-retaining granules, as there are no holes in the liner so the water shouldn’t drain away too quickly. 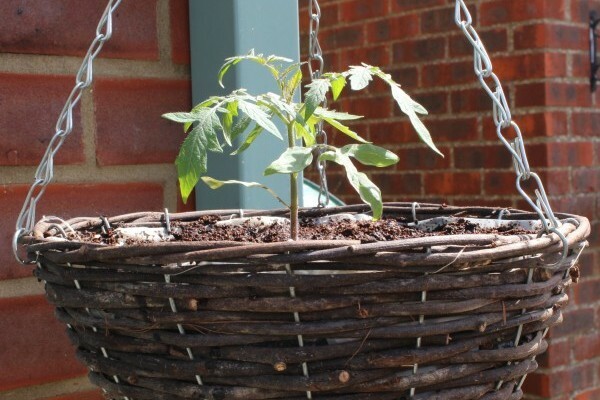 Because of the habit of these trailing plants, they require very little maintenance, so I won’t need to do anything else now, other than regular watering, plus weekly feeding when the tomatoes start to develop.